It is important to wear a professionally made mouthguard whenever you play sport that involves physical contact or moving objects. This includes: cricket, hockey, boxing, rugby and football - which can cause broken and damaged teeth, or even broken or dislocated jaws. A mouthguard will help protect against these happening. Prices start from £45, but costs can vary depending on the design of the mouthguard. However when you consider the cost of expensive dental work and the risk of losing teeth, it is a small price to pay for peace of mind. 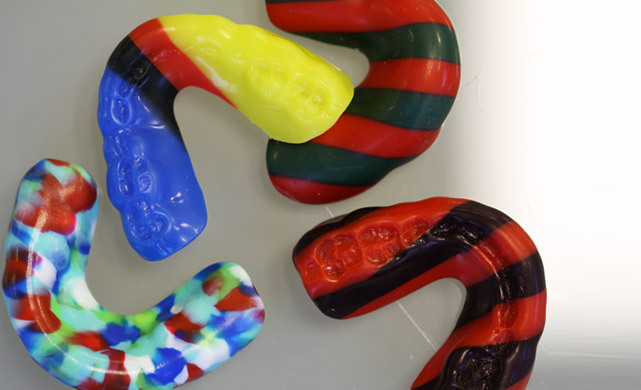 There are many types of mouthguard including striped, multi-coloured and clear. 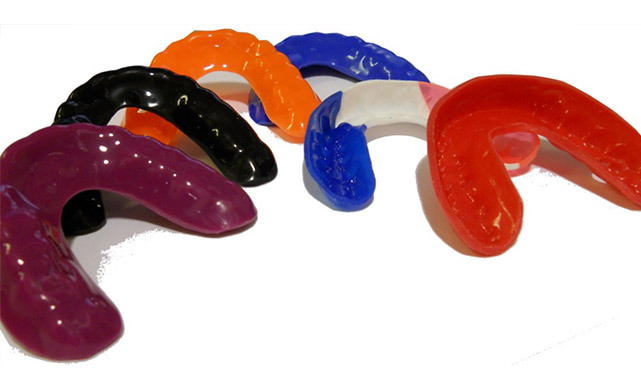 Many people now have coloured mouthguards made in their favourite team's colours or to match their own sports strip. Mouthguards are made by taking an accurate impression of your mouth and making the mouthguard fit your own teeth. The dentist will note the way your jaws bite together to make sure the mouthguard meets properly with your teeth. Firstly, if you can find the tooth and it is clean, put it back into the socket yourself. If you can't put it back, put it straight into a cup of milk or keep it in your mouth. Don't put aspirin or clove oil on the wound.